Design an XPRIZE that will incentivize energy solutions that can provide clean, high-performance, accessible, sustainable energy to the 1.2 billion people globally who live without electricity. Approximately 1.2 billion people (roughly one in six people) still live without access to electricity today. About 3 billion (a little less than half of the global population) rely on solid fuels and kerosene for cooking and heating. The electricity access deficit is evident in Sub-Saharan Africa (63% of Sub-Saharan Africa population), South Asia (20%), East Asia and the Pacific (4%), Latin America (3%), and the Middle East and North Africa (3%). Because this population tends to be concentrated near the equator and most energy produced during daylight hours is consumed during the day, a breakthrough in energy generation technology could provide off-grid populations with a game changing solution for productivity and development. In the year 2000, the number of people living without electricity access was roughly 1.3 billion, so even though that figure has dropped since then, this deficit is not shrinking fast enough. How can we incentivize solutions that reduce that number more quickly? Amazing work around the world has already led to great progress in rural electrification. The global rural electrification rate (fraction of the population having access to electricity) has increased from 63% in 2000 to 73% in 2014. Still, there is a huge gap: 27% of rural populations still lack electricity. Urban areas around the world are close to universal access with 97% electrification. However, with over 50% of world population currently living in urban areas, and projected to reach over 70% by 2050, the urban electrification challenge is still immense. These 3% of the urban population without electricity represent over 100 million people, and may be just as difficult to reach as the hundreds of millions living in rural areas. An amazing competition design will focus on the smallest set of breakthrough innovations that can unlock the largest possible positive impact. After considering many different possibilities and consulting both internal and external experts in the field, the team has prioritized three “Grand Challenges” to be solved in this space: Affordability, Efficiency, and Generation. “Grand Challenges” are areas in which a breakthrough could lead to massive transformational change in creating a world of energy abundance. XPRIZE is seeking amazing prize designs in these areas. Breakthroughs in energy generation could unlock energy access for billions through new ways of generating usable electricity from our natural resources and earth system. XPRIZE is looking for prize designs that address this Grand Challenge. If you design a prize focused on generating other forms of energy (e.g. heat), be clear about how that breakthrough will address the ultimate goal of access to energy. A in electricity (or other) generation could focus on specific technology competition incentivizing breakthroughs breakthroughs in known generation modes like solar photovoltaic, wind, tidal, nuclear, geothermal, etc. It could also focus on breakthroughs in new energy frontiers like fusion. If you design a prize at such a “frontier” of energy generation, be clear about how this technology can get into the hands of the 1.2 billion people lacking basic energy services. XPRIZE wants you to show the world the best way to incentivize breakthroughs in energy generation. Many of today’s energy solutions are simply too expensive. 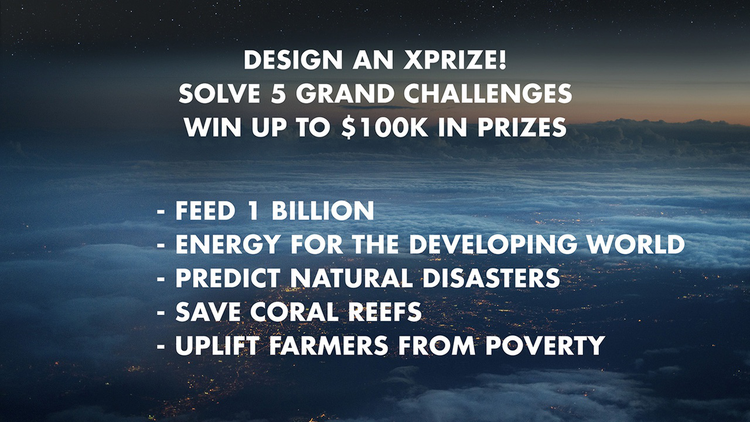 XPRIZE is looking for prize designs that address this Grand Challenge. For example, your competition design submission might incentivize solutions that reduce technology costs, fuel costs, or system and service costs. It could focus on increasing service levels for users at the same costs, or on reducing costs of energy infrastructure. A competition targeting affordability might focus on hard technology systems, software services, new business or delivery models, supply chains, financing mechanisms, or other solutions. A competition could incentivise a breakthrough piece of hardware or software, or a financial, social, or business innovation. XPRIZE wants you to show the world the best way to incentivize breakthroughs in energy affordability. Many of today’s energy solutions could become more efficient. XPRIZE is looking for prize designs that address this Grand Challenge. For example, your competition design submission might incentivize efficiency gains in basic conversion of natural resources into electricity or heat. It could also focus on breakthroughs in efficiently managed energy systems and infrastructure (e.g. 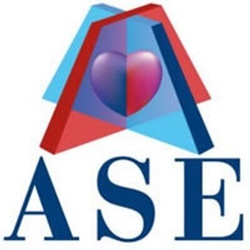 an electricity network), or at the point of use (e.g. a more efficient refrigerator in your home). A competition design could also focus on more efficient ways to transport and distribute energy in large or small networks. A competition targeting energy efficiency might focus on breakthroughs in devices, networks and sensors, business or delivery models, supply chains, or even user behavior. XPRIZE wants you to show the world the best way to incentivize breakthroughs in energy efficiency. Consult our Energy of the Future Wiki to understand more about the topic. We are currently seeking sponsors to make the Energy for the Future XPRIZE a reality. Please contact StakeholderRelations@xprize.org if you are interested in supporting the launch of this prize to get energy to the 1.2 billion without it currently.